2003. By Gregory A. Zielinski and Barry D. Keim. A comprehensive, accessible guide to a subject near and dear to every New Englander's heart. 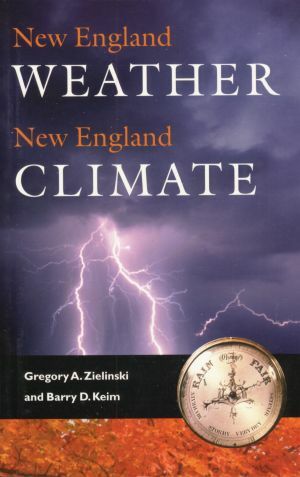 The authors combine a scholarly approach to weather systems and events with an ability to transmit their passion to a general audience. Softcover. 276 pp.